Need hot or cold liquids that will stimulate your senses? You will never be bored with the same old beverages again. 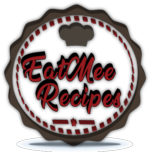 EatMee gives you recipes for home-made beverages whether it be for the Winter or Summer seasons. There are a variety of recipes to choose from – those that calm you down or hype you up. We teach you simple ways to liquefy your soul. We bring you Slushies to Hot Chocolates & everything in between to accompany any of your delicious meals. Everyone has that thirst-mood whereby your mood decides on the type of liquid you want & you begin to crave it but can’t seem to get your hands on it; you try to prepare it & you’re completely confused & end up messing it all up & wasting your time. Tea & Coffee are generally known to be the most liked beverages throughout the world. Chocolate has made a significant contribution towards drinks internationally. Milk also goes through different experiments resulting in various well known drinks. Beverages cannot be covered without mentioning alcohol. Alcohol can be calming yet intoxicating & is only recommended for adults over the required age limit as per your country. Chocolate is now also being incorporated into alcoholic drinks which give chocolate & alcohol lovers the best of both with it’s remarkable taste. Colors tend to adjust your mood & nowadays beverages come in a variety of colors that give them diverse flavor. Their settings also differ from warm to steaming hot & cool to ice, & not forgetting instant to delayed.